Candid & Fun Maternity Photographer Manhattan Beach - Los Angeles based photo studio, The Pod Photography, specializing in maternity, newborn, baby, first birthday cake smash and family pictures. For this couple’s photos, we kept it super clean and simple. This mama-to-be is so gorgeous that the minimalism of her outfits and sets allowed her to be the focus, and have that perfect little bump showcased. However, I couldn’t resist and had her do one setup at the very end on our Cherry Blossom set just. These images were captured at our photography studio that services Manhattan Beach and the surrounding Los Angeles area – and we specialize in maternity, pregnant belly, pregnancy couples and all around photos of lovely families. Our maternity photographer, Erika, has specialized in portraiture for almost a decade and would love to capture amazing photos for your family as well. 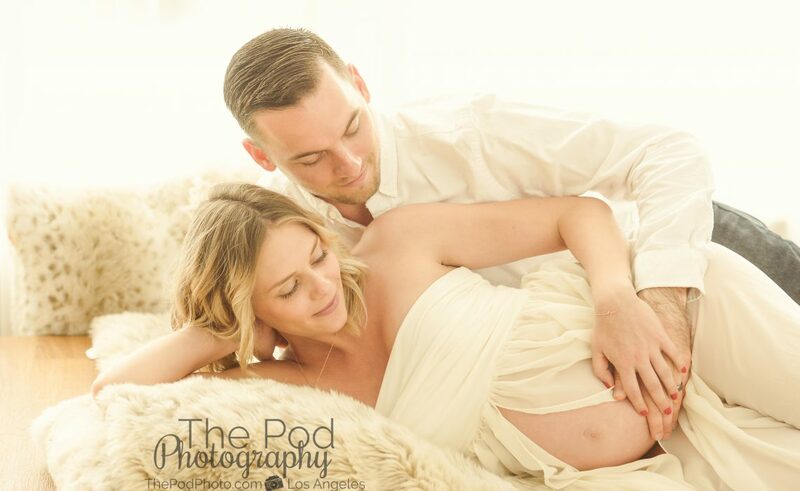 To find out more about our services, give us a call at 310-391-4500 and take a look at our maternity photos on our website.